A new Inverness Outlanders digital audio tour will help visitors to Inverness and Outlander fans from all over the world totally immerse themselves in Diana Gabaldon’s Highland epic. 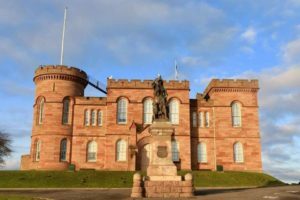 Visitors use their own smartphone and the free Geotourist app to uncover more about key Outlander landmarks dotted across the Inverness area. 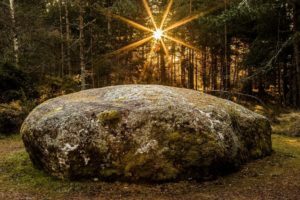 The Outlander Series has inspired a fierce loyalty among fans, including the stellar Inverness Outlanders – and we’re delighted and thrilled to partner with them on this tour. The Inverness Outlanders recognise the increased interest in their city, inspired by Outlander, and created a map so that other fans and visitors can enjoy Inverness’s Outlander locations for themselves. The tour walks visitors through Inverness, demonstrating the city’s role in Gabaldon’s iconic series of novels, before helping visitors to access points of interest around Inverness, including Culloden’s historic battlefield and Victorian spa town, Strathpeffer. It’s clear to see why Gabaldon’s books have captured the hearts and minds of readers across the globe. The Outlander story creates a rich tapestry of an intoxicating love story set against a backdrop of historical fact and a Highland way of life which was once considered daily life in the Scottish Highlands. Gabaldon’s literary work is loved by fans worldwide, with many others accessing Claire and Jamie Fraser’s time-hopping romance on the small screen adaptation, available on Channel 4 and Amazon Prime in the United Kingdom. The tour is of interest to visitors and Outlander fans, new and returning, to Inverness as well as Outlander fans who are planning a Highland trip. What makes the tour even more accessible is that it can be listened to from anywhere in the world. Both the tour and the Geotourist app are free to download from the App Store or Google Play or access through the mobile site. The Geotourist app is easily accessible for everyone. To take the self-guided audio tours download the free Geotourist app from the Apple and Google Play app stores.